Another Sauvignon Blanc to add the list! 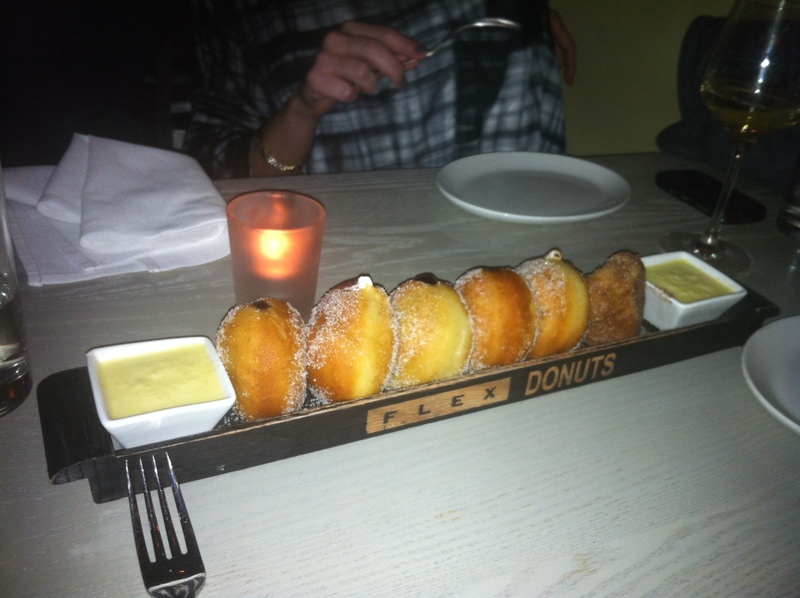 The Wine: Last night I went to Flex Mussels on West 13th street for a delicious Mussel dinner and Donut dessert! There were four of us so instead of ordering individual drinks at the bar we just ordered a bottle. We picked Tablelands Sauvignon Blanc 2010 Marlborough New Zealand which was great to sip on pre dinner and complemented our meal phenomenally. It was under the “Crisp & Mineral” category so we knew we were getting a light-bodied, dry and crisp white wine with a little fruity kick at a reasonable price – $12 per glass and $46 per bottle. We literally could feel the wine almost melting in our mouth while drinking (and I think in total we had 3 bottles)…. This wine is a MUST try when you go to Flex – I promise it will make your nightthat much more enjoyable! Wine List: They had a selective wine list which was laid out nicely. As you can imagine, the majority of the list was filled with an array of whites and had more glass options than red, but that should be expected as it is clearly important to have a solid white wine list in a fish restaurant. Flex offers a nice range in bottle prices ($36 – $150) and did a great job providing different regions, specifically in the white category (France, Italy, Spain, Austria, Hungary, Australia, New Zealand, Chile, California, Oregon, even The Finger Lakes!). They also offer a few options of Sake which I thought was neat and unexpected (which may entice more people to order). The wine list set up makes it extremely easy to choose from since it is organized by “taste” category (below). All in all, a great restaurant with a great wine selection to go with their menu. 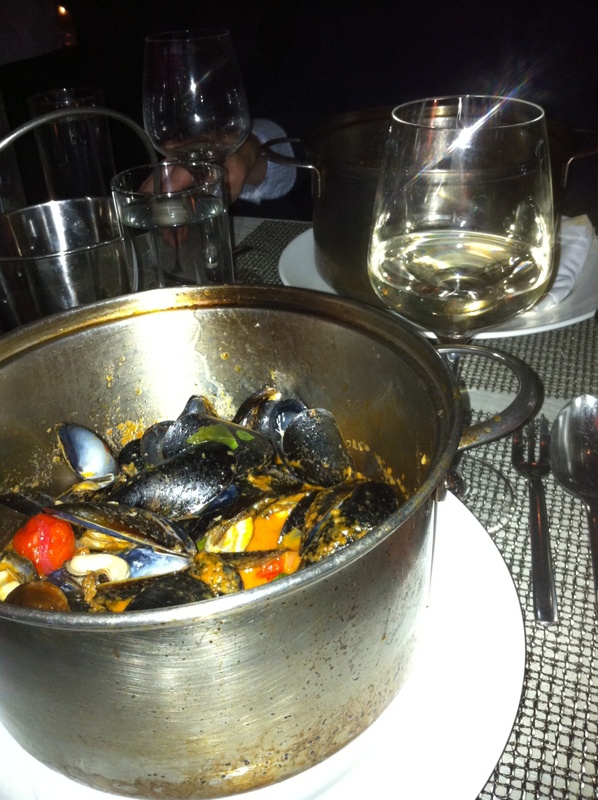 Tablelands and Mussels - yum!